Each Ruger telescope ring is a mated assembly of a top and a base. Do not mix the parts of the two ring assemblies as they are not interchangeable. On the underside of each mounting ring assembly there is an integral lug, located off center with respect to the front and back sides of the mount. The lug is nearer to the front surface. By reference to the lug, the mounting ring can be correctly assembled with the front of the ring toward the muzzle of the rifle. 1. Disassemble one ring and reassemble over the scope body between the turret and the eyepiece. Remember - the lug on the base should be on the front side of the scope. 2. Install the four top screws. Do not tighten. 3. Disassemble the other ring and install it on the forward section of the scope tube with the lug forwardly also. Install the four top screws. Again, do not tighten. 4. Assemble the rings to the receiver with the lugs engaging the recesses in the top surface of the receiver. Tighten the clamp nuts so that the rings are locked to the semicircular cuts on the sides of the receiver. 5. Rotate the scope until cross-hairs are aligned properly and slide scope to desired eye relief. then tighten the eight top screws each a bit at a time to grip the scope body. 6. Sight in according to the directions with your scope. 7. If ejected cases strike the scope, try using higher scope rings or different ammunition. If this condition persists, you should use the supplied Ruger Scope Shield (part no. SP17339). 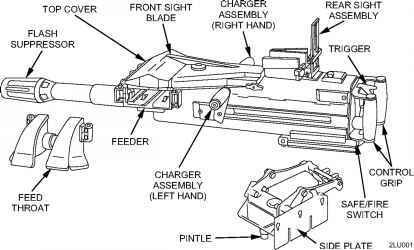 How to install ruger scope rings?